See below. What do you think? Which do you like and why? Which do you not like and why? 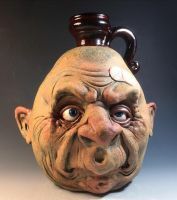 I like the idea of adding human-like character to a simple pot. These are super creative and kinda funny looking. The second one and the last one is pretty interesting. They are very creative. I like it. i like the 4th one because the man is really ugly and its funny. the third one is just weird. I like the third one because of the detail in its eyes. I don't like the first one because it looks too real. It's kind of creepy. 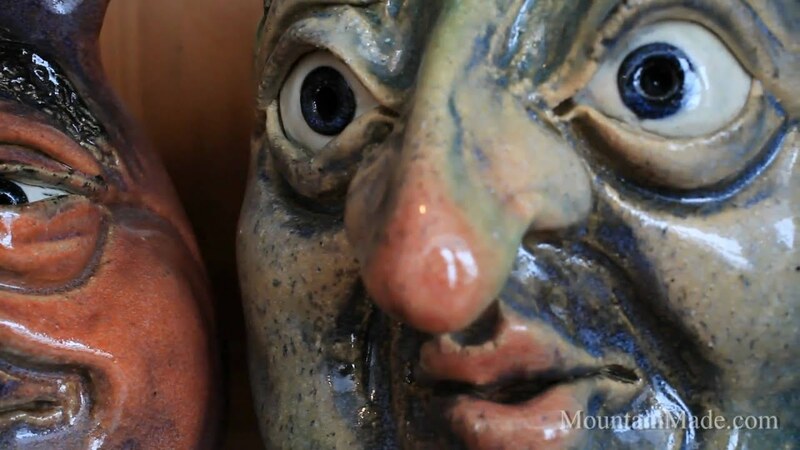 When looking at these pots, I think that we have much to learn and that we are just scratching the surface when it comes to making faces. The amount of detail in these pots makes me realize how basic my pot is. My favorite is the top one because it reminds me of Austin's face when he's about to sneeze. My least favorite would have to be the 2nd one because it has the least amount of facial features when compared to the others. 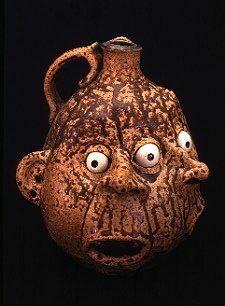 i think the jug heads are very interesting but they are definitely not my favorite out of ceramics.If i had to choose out of all the pictures i would choose the fourth to be my favorite because it is executed very well and it is humorous. i do not like the second one because it has three eyes making two faces and it overall is just creepy looking. I like the one with three eyes. it has so much personality, its like there is a third person, or who they really are on the inside is breaking through. I think these heads are kind of creepy and i like the first one because it has a lot of detail to its face. I think all of these are really amazing and detailed. My favorite is the last picture because both pots work together and they are creating action even though they don't move. My least favorite is the 4th picture because it is kind of creepy. after see the picture, i like the first one and the last one, the second one is just a little bit weird for me. and the last one is just very funny. 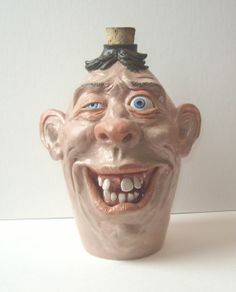 I liken the last pair of jug heads playing cards because they look mischievous. My family likes to play cards often and those two remind me of my sister and Mimi. I don't like the second one with multiple faces, it reminds me of floops creations in spy kids. I had nightmares about that movie for weeks as a kid. I like all of them because are interesting, but creepy also. I like the 4th one the most because it stands out.